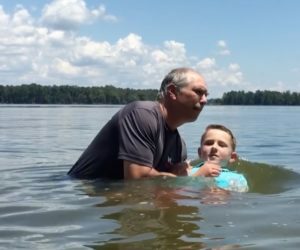 On July 22, following the 11:15am worship service, we celebrated three baptisms and four reaffirmations of baptisms at Lake Murray. Lawrence Ray, Chris Johnson, and Alita Jolley were baptized and Marie A. Johnson, Connie Johnson, Will Morse and Victoria Shealy reaffirmed their baptism. It is exciting to see how God is working and moving in the lives of the people at Wightman!